Turning a popular art into a watchmaking art: this is the primary mission that Corum watches have set for themselves, by creating a new collection of unique pieces rich in a creativity that is rare in the world of fine watchmaking. This watch collection is not so much distinguished by its silver case as by its dial: Corum Hobo Coins watches use authentic coins as a dial, within a silver case with a conventional appearance. 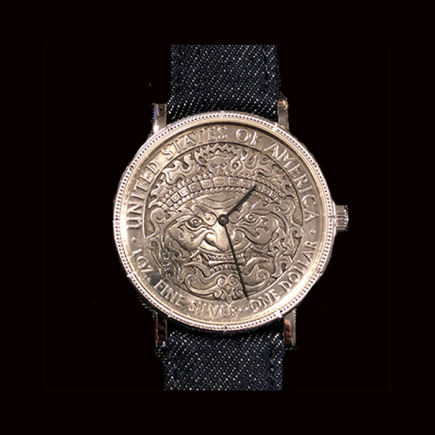 This art of converting a coin into a wristwatch case is an ancient art at Corum. 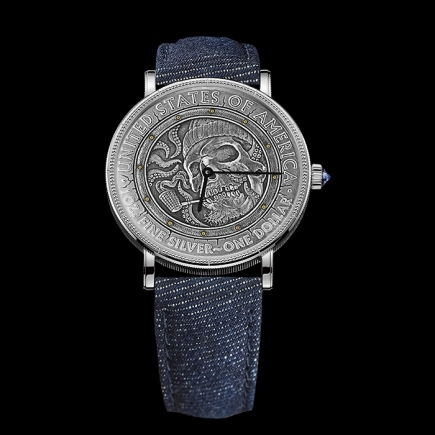 Under the sapphire crystal of these watches, the purpose is to identify by a silver coin a culture, an art of living, a universe or the history of a country, its states, as so many unique witnesses of a given time. 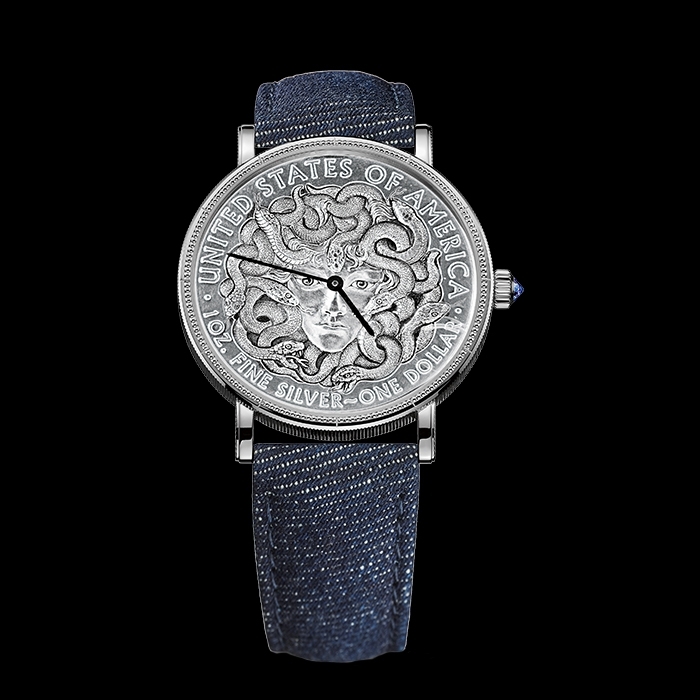 Yet, for the first time, Corum has created unique pieces around a very particular art, known as "hobo" and which concerns the popular art of the vagrants, about which there is a popular movement that traces their history and boldness through the centuries, an effective way to relive as witnesses their history on the roads across the United States. 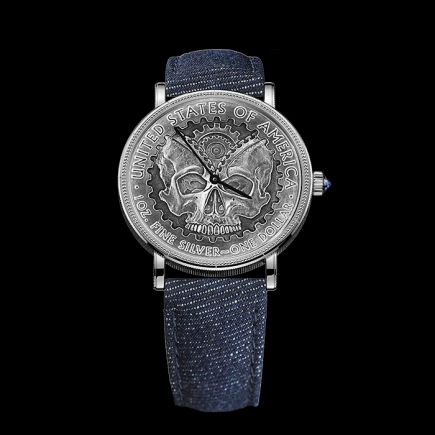 It was the engraver and artist Aleksey Saburov who was commissioned by Corum to bring these coins, which are the dial of the Hobo Coins wristwatches, to life. The purpose of the artist Aleksey Saburov was to retrace the great century of these hobos, these vagrants, their history and their universe, by working with the raw material (silver and nickel) to sculpt with great creativity a new collection of pieces Hobos Coins. 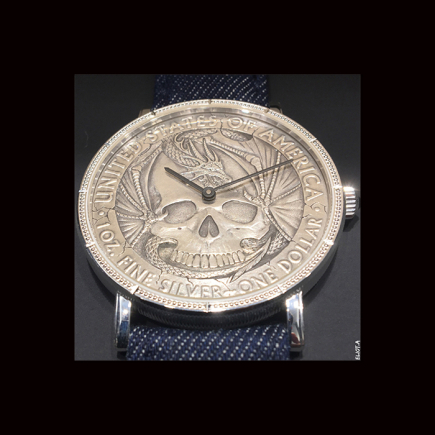 Entirely handmade, like so many works of art, these Hobos Coins actually form a coherent collection of wristwatches, all of which are unique, within a silver case. 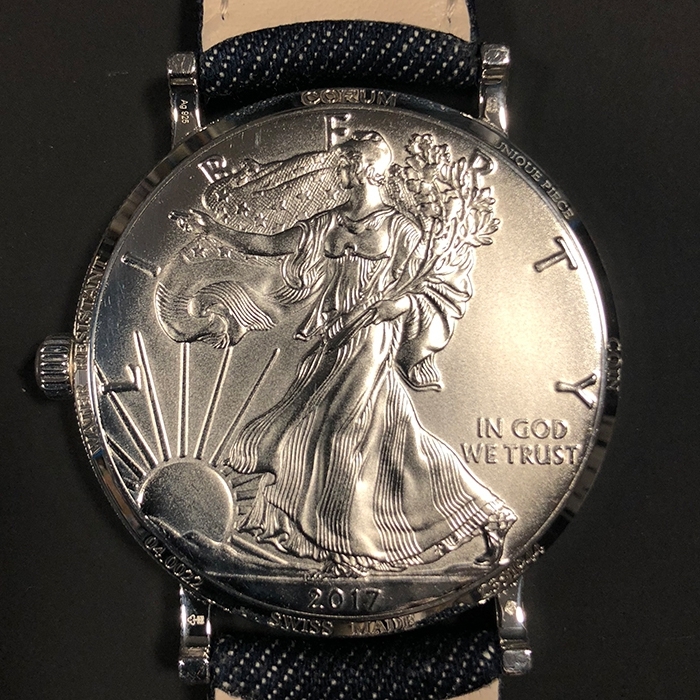 Never, under the sapphire glass of these authentic timepieces that we have seen on Instagram or in other digital worlds, will the raw material (silver or nickel) be treated in the same way. 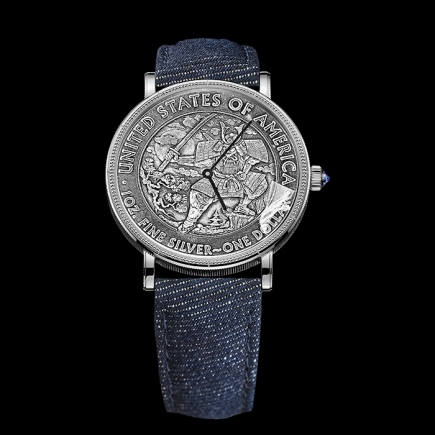 Corum thus offers Hobo corners, all of which are unique in collection, each watch demonstrating the creativity of the artist Aleksey Saburov, his approach to watchmaking, that of the history of these vagrants throughout the United States, their intimate universe seen by an artist who draws his creativity from it. 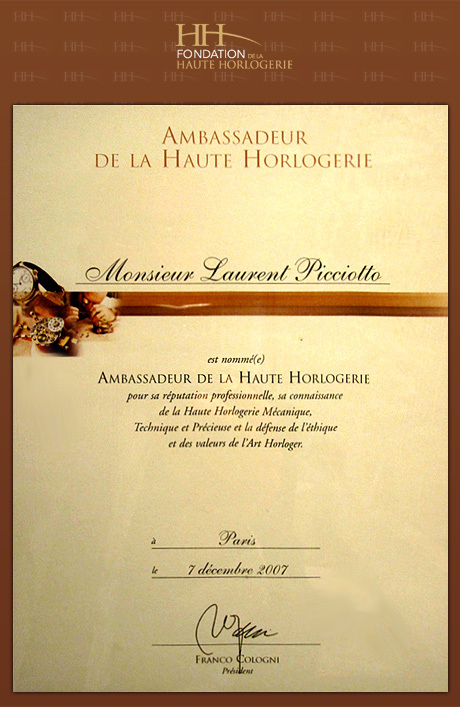 From hobos to hobos, from the first Coins in the history of Corum to this collection of authentic wristwatches seen by an artist with his own view of vagrants and their universe, there is only one step that today translates into an exceptional, original and authentic watch, which gives pride of place to silver and nickel. While these two metals, silver and nickel, are common in coins and their cases, Corum has been able to give them authentic watchmaking values with this limited edition. Today, collectors of fine watches and those of Corum's wristwatch collections can witness an original history of vagrants, or even relive in a watchmaking way, through the creativity of their watches and that of the artist Aleksey Saburov, part of their popular history and their states. These unique pieces were first seen on Instagram. 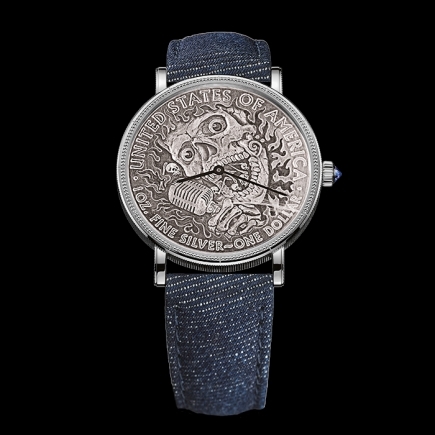 Today, the collection of Aleksey Saburov's artist and Corum, the Hobo Coins, is available in limited editions in rare places around the world and provides an opportunity to offer alternative watchmaking creativity.